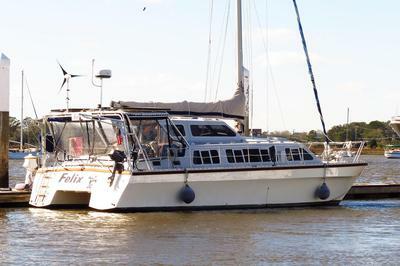 S/V Felix is for SALE – Designed and built in England by Tom Lack, the Catalac 10 is a true blue water cruising cat that is extremely well built, very sea kindly and a super comfortable live aboard. Her solid fiberglass hull is bulletproof and the envy of lesser built small cats. 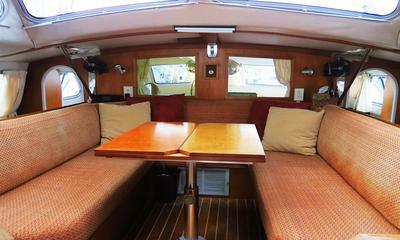 And if you like great visibility and want to be a part of your surroundings, then this is the boat for you. It has more windows, and windows that actually open allowing for great ventilation (with screening), even underway and in the rain! 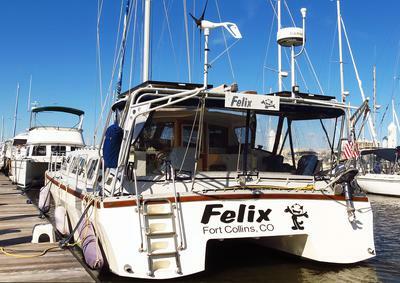 We bought Felix in 2009 to do the Great Loop, East Coast, Keys, Bahamas and whatever else we might dream up. 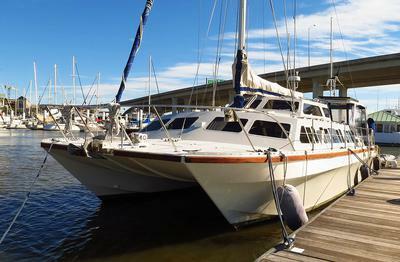 With her newish Twin 30 hp Yanmar Diesel engines, only 3’ draft, and enormous storage she proved to be the perfect boat! We have loved her and lovingly cared for her by adding many upgrades over the years. Now, another dream has come true and we now spend our summers on our canal boat in France, and soon to move into our house in Florida - thus our decision to sell Felix. We are currently cruising from South Carolina to Florida on the ICW aboard Felix, however, we will be glad to show it to anyone along route. It will be at the Ortega Landing Marina in Jacksonville around Dec. 15th , 2017. 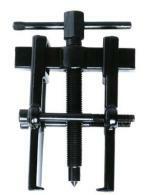 If you would like to see more photos I have them posted on a photobucket site. •	2 – 30hp Yanmar Diesel Engines with saildrives (New 2006 now with 3400 hours) professionally serviced every 1000 hours including all service records. up and stows in its own pockets. 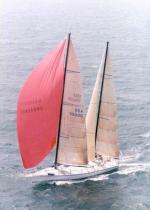 Lived aboard a 45 ft Mono 2 yrs with 2 separate Heads & Showers ok! IMHO any boat that carries more than 2 would I ever settle with anything less having 2 complete heads. With respect: In a Cat where one has to enter the other hull for a dump or shower..forget it..!